One of the most popular outdoor activities in Northern New Mexico is hiking, and it is not difficult to understand why. In fact, Santa Fe has been rated as one of the top hiking destinations for hiking in the Southwest! During your own visit to New Mexico, we highly encourage you to get out and experience what make the local trails stand out from all the rest. Whether you’re in search of a quick afternoon excursion or you’re a beginner hoping to enjoy a more leisurely trek, here are some of the best easy hikes in Santa Fe that are exactly what you’re looking for. While you’re here, don’t forget to request your complimentary copy of our Chimayo Vacation Guide. This handy vacation planning tool is filled with great recommendations for things to do, dining hotspots, and places to explore during your next New Mexico getaway, including even more Santa Fe hikes! Get Your Free Guide to Northern New Mexico Right Now! Stretching approximately six miles, Atalaya Mountain in Santa Fe is one of the longer trails on this list. However, the trek is very easy to complete and exposes its travelers to rewarding views of mountaintops and the Santa Fe adobe spread. It’s perfect for a full afternoon excursion in the great outdoors. The Dale Ball Trails in Santa Fe are an extensive hiking and mountain biking trail system conveniently located right outside the city. You and your loved ones will enjoy a relaxing hike through the foothills on the Sangre de Cristo Mountains, which includes some of the most striking regions in Santa Fe. There’s a reason the Chamisa Trail in Santa Fe is a favorite among locals and visitors alike! The 4.5-mile trek is surrounded by beautiful aspen vistas, meadows, and mountain streams. There is a slight elevation gain in the trail that may be a challenge to some beginners, but we promise your journey will be well-worth it! Also known as the Pikachu Trail in Santa Fe, Picacho Peak is a 3.3-mile out and back excursion that provides lovely views of the Northern New Mexico landscape. It’s also commonly used by the locals as a training trail, so if you’re hoping to practice for the longer and more challenging trails, this is the one for you! At 11.6-miles, the Aspen Vista Trail in Santa Fe is certainly the longest trail on this list. 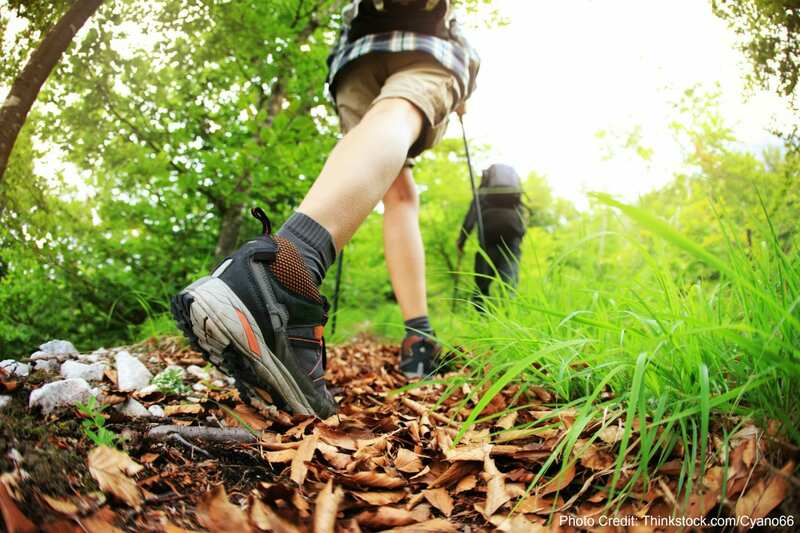 However, both skilled and beginner hikers can get their fix on this exciting journey. You can either spend the whole day exploring the trail or simply use your afternoon to walk a few miles in and back. The choice is yours! The Dorothy Stewart Trail is a 1.9-mile loop in the Santa Fe National Forest and very popular with traveling families. Many visitors also love the great views provided by the foothills of the Sangre de Cristo Mountains. If you enjoy fun hikes with water features, then you won’t want to skip the Two Mile Pond Loop. Despite its name describing the trail as two-miles long, the hike is actually only 1.4-miles and offers a number of exciting activity options during the hiking season. This quick yet inspiring trail is only 1.2-miles long and wanders through the incredible Tent Rocks National Monument and a labyrinth-like slot canyon. Many visitors choose this trail to see the cone-shaped geological features in the park, but you’ll also find a wide variety of other activities such as bird watching and plant identification. Many guests who stay with us in our Chimayo bed and breakfast come to Northern New Mexico to try the local hiking trails for themselves. If you’re a hiker in search of your next adventure, we have a special offer just for you! Located in the peaceful countryside of Northern New Mexico, our charming bed and breakfast in Chimayo, NM provides a peaceful and quiet setting for you and your loved ones to unwind, recharge, and discover everything our wonderful region has to offer. Guests of Casa Escondida will enjoy intimate and comfortable lodging options, some of which are pet-friendly, convenience to several nearby cities, towns, and attractions, and a delicious hot breakfast served each morning. After experiencing your favorite easy hikes in Santa Fe, we suggest coming back for a well-deserved evening of relaxation in the Vista Room. This upstairs accommodation is ideal for couples or families and includes a wide variety of unique features and amenities including a banco window seat, a queen bed and daybed that converts into two twin beds, and a private deck overlooking the Sangre de Cristo Mountains. Check our availability today and book your next New Mexico escape!